So the oldest boy got me the perfect brownie pan for Valentine's Day. Thus, I set him to work. This gift is very likely cosmic payback for the time when I was four and got my own mother a DONUT MAKER for Christmas. Yeah you heard me. I'm THAT jerk kid. 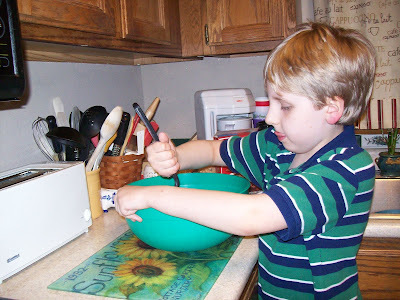 However, I had the sense to make the kid do the work. Did indeed to turn into perfect brownies. I'm kind of shocked/pleased. 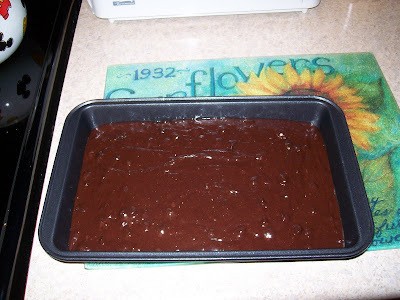 I'm serious - gifts from the AS SEEN ON TV STORE are not supposed to work, yet the perfect brownie pan actually gives you fantastic even baked brownies that are freakishly moist and delish. If this were a review blog (AND IT'S NOT) I'd continue to rave some more. 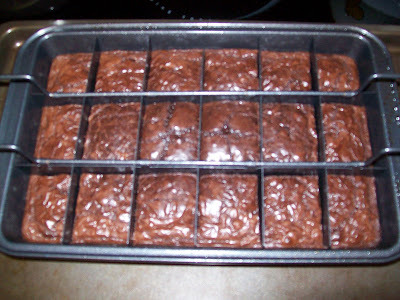 Instead I'm going to taunt you with these delicious and decadent PEFECT BROWNIES. And, then in a minute - I'm gonna go eat some. It seemed like a silly whim of a seven year old - but man - this thing rules. I'm gonna make some more stuff in it. I love it. 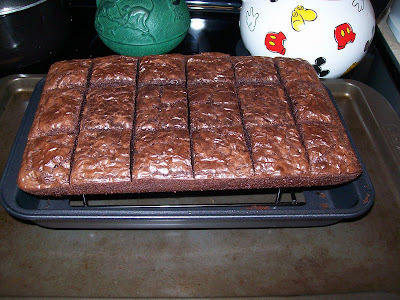 We bought this very pan just last week, and the brownies were indeed perfect. If this were a comment on a review blog, which it isn't, I would whole-heartedly agree with your appraisal.